The Battle of Agincourt that took place on the 25th of October 1415 is a fascinating but controversial battle. As we commemorate the 600th anniversary of the battle, we will help you explore some of its facts, secrets and myths. Over the course of 2015 there will be many events to commemorate the battle. If you are planning any event please let us know and we will be delighted to announce it our website. We will also post reports and photographs of events. 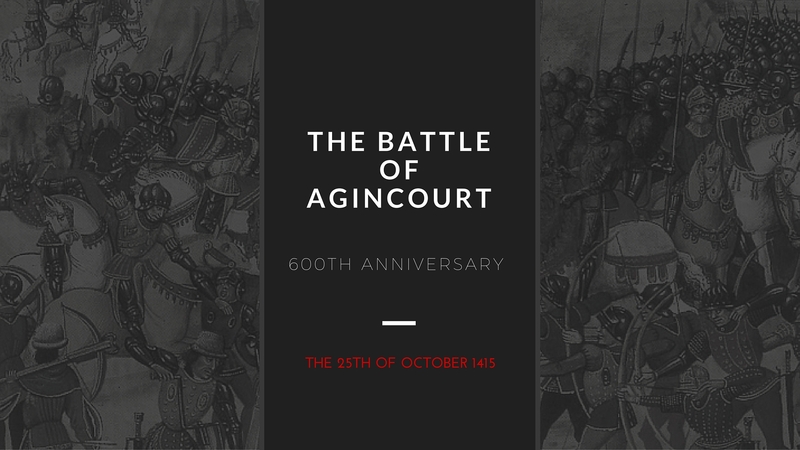 On the weekend of 25 October 2015, the Community of the Communes of the Seven Valleys and the Medieval Historical Centre of Azincourt, have organised a series of events to commemorate the 600th anniversary of this battle. This is a significant commemoration for the History of France and England. Attending events near and on the battlefield will be dignitaries and guests from both countries. Included in the commemorations will be the unveiling of a new memorial will be opened that remembers the sacrifice of those who fought from both sides. Guests from the UK include British ambassador to France, esteemed British academic on Agincourt Professor Anne Curry, who will be saying a few words at the event and key members of the Agincourt 600 committee. “This is a wonderful opportunity for the different sides of Agincourt’s history to come together, just as they did 100 years ago in this area. This anniversary allows us to distinguish the truth from the myths and explore the significance of the battle and its role as a marker in the medieval period and the Hundred Years War. The unveiling of the memorial funded by the Agincourt 600 committee recognises the shared history of our nations and the legacy of friendship that has developed.” Professor Anne Curry, Chair of Agincourt 600 Trustees. Taking part in the commemorations will be a French Military Band and the two British regiments will be present and on parade. The Royal Monmouthshire Royal Engineers (Militia) and The 5th Regiment Royal Artillery, both have historic ties to Agincourt and Henry V. The Monmouth regiment is based in the castle of Henry V’s birthplace and the latter is the regiment that is descended from those taken to around the Agincourt battlefield by the French in 1915. Ferry sector makes a BIG splash with 140 free ferry tickets to France! Paris 2019 – Feel the energy!